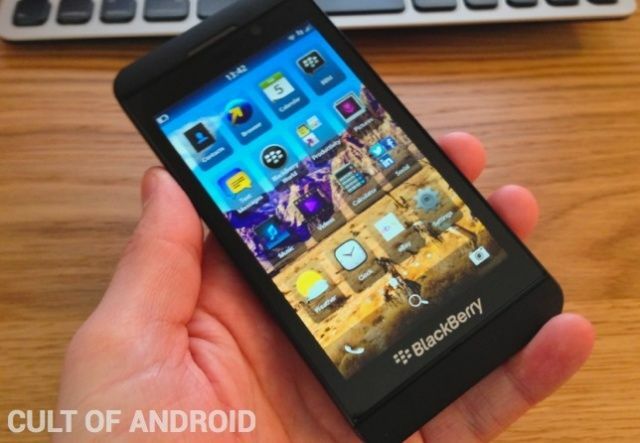 BlackBerry — previously Research in Motion — launched the new BlackBerry Z10 last week, the first smartphone to run the company’s new BlackBerry 10 operating system. Originally set to launch in late 2012, the Z10 has been a long time coming for BlackBerry fans, and it’s a hugely important milestone for the Canadian company. Many see this as BlackBerry’s last hope of survival in today’s cutthroat smartphone market. It’s been rapidly losing market share to Android and iOS devices over the past five years, and it hasn’t evolved quick enough to put up any sort of a fight. But it’s better later than never. BlackBerry 10’s here now, and with the help of the Z10 — and later the Q10 — it’s going to be trying to persuade you to give up your iPhone or Android-powered smartphone in favor of a brand new platform. But is it good enough? I’m a long-time iOS user who recently made the switch to Android, and I’ve been really curious to see if the Z10 is any good. I’ve been using the device almost exclusively since its release; here’s Cult Of Android’s review.